A Glasgow born architect, architectural illustrator and writer, he trained with Thomas Rickman in Birmingham, 1830-7, before settling in Edinburgh, where he remained for the rest of his career. 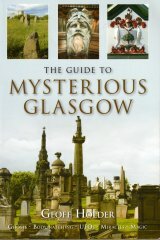 For Glasgow's Necropolis, he designed two large-scale structures in the cemetry, the earliest of which is the Arabian-style mausoleum of the traveller and writer William Rae Wilson, which is derived from the sepulchers in Palestine that Wilson would have seen on his journey through the Middle East (c. 1849). The building is signed by Bell and its builder, the monumental sculptor Alexander McLean. He also designed the colossal, Gothic cross to Rev. Dr. Duncan Macfarlan, employing the Edinburgh sculptor William Brodie to execute its bronze portrait and lettering, and the Glasgow carver James Shanks to carve and construct its stonework (1860-1). In Edinburgh, his cemetery work includes the monuments to Robert Reid in the Dean Cemetery, and monuments elsewhere to Alexander Cowan and Thomas Chalmers. Bell�s architectural work in Glasgow is rare, his only other notable work being the once immense, Tudor-Baronial Victoria Buildings, 2-4 West Regent Street (1858-60), the eastern half of which was demolished in 1974. His buildings elsewhere in Scotland include Valleyfield Mill School (1823) and Beeslak House (1855-7), both in Penicuik.